Kleinert's Solutions For Sweat & Odor Control: Did you know that coffee can make you sweat? Hard to believe but coffee can be to blame for those morning sweat circles you see. 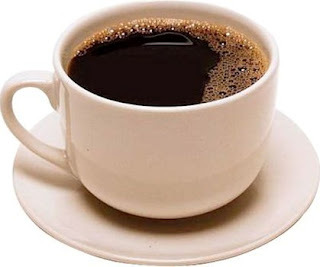 Coffee can increase perspiration in two ways. The first thing it does is stimulate the central nervous system. It activates the sweat glands and so the more caffeine you have the more you can sweat. The second thing is that the heat generated from the drink can make your body feel hot enough to start to sweat. To avoid issues like this stop drinking coffee or if you cant kick the coffee habit opt for decaf or even iced coffees which are very popular nowadays. These forms of coffee will not have the caffeine nor the heat like a regular cup of Java can. At the very least you can try and control this issue.